It commits no cardinal sins but this belated return to the world of Darksiders comes across as shallow, frustrating, and disappointingly dull. 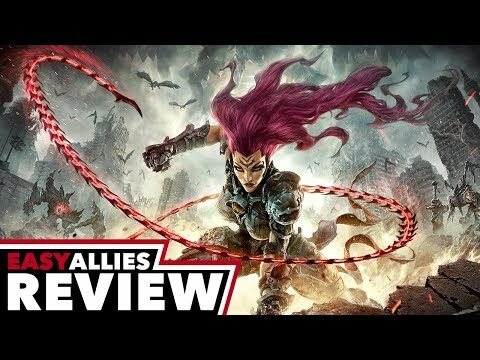 Darksiders 3 is a nostalgic trip, reminding me of games I loved when I was younger. It never does anything spectacular, nor does it offer many new ideas. Instead, it exists as an earnest reminder of how games played eight years ago, and that’s enough for me. Once again, the Horsemen offer us a masterpiece. Darksiders III, even with all the fear and skepticism behind the game, has managed to become a superb hack ‘n' slash. The personal journey of Fury against the Seven Deadly Sins is simply amazing, and everything is set towards the future for Strife to come and end this awesome epic. Darksiders 3 is recognizably a Darksiders game.